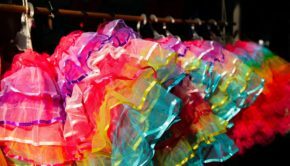 Do you need some eco-friendly inspiration for Easter baskets this year? 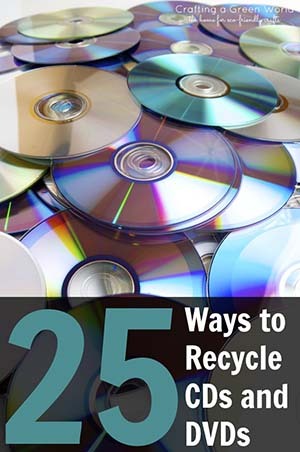 Before you’re tempted to buy one from the store, consider these options. From milk jugs to old sweaters, we have what it takes to get you inspired! 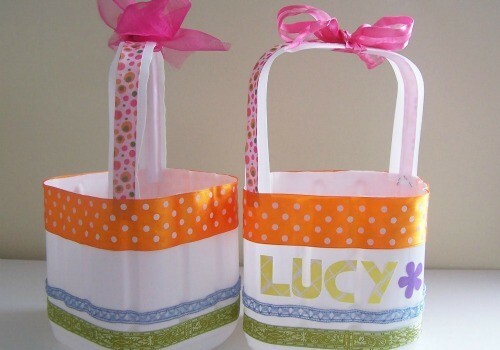 Brandy from Repurpose Relove transformed average milk jugs into adorable Easter baskets! 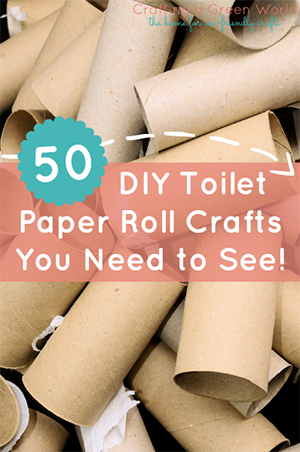 They are so simple to make and are easy to decorate. 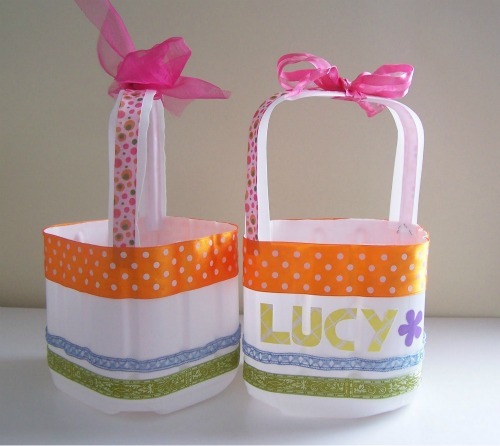 You can even get your little ones involved by having them decorate their own Easter basket! I especially love how Brandy personalized the basket by putting her child’s name on it. 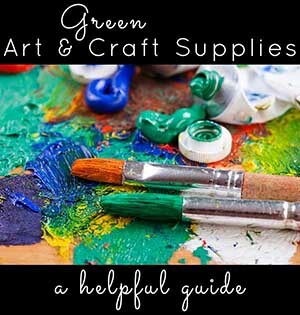 Instead of using cardstock paper to decorate, consider upcycling items like newspaper, magazines, sheet music, or book pages. 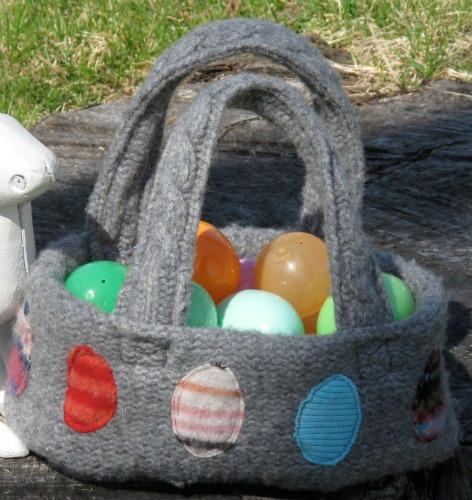 We’ve talked about recycling plastic bags before, but Cindy at My Recycled Bags takes it to the next level with this crocheted Easter basket. She even used the bottom of a laundry soap bottle for the base of the basket! 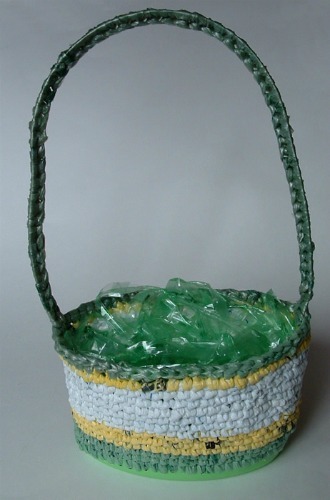 Click over to Cindy’s tutorial to find out how to make plarn (yarn made from plastic bags) and how to crochet this incredible Easter basket! 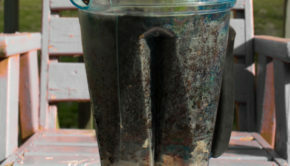 Have you been looking for a unique way to recycle your newspapers? 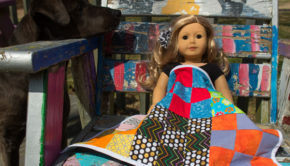 Well, Julia at Roots of Simplicity has created the perfect project for you! Using the same technique you would use to make a newspaper bowl, Julia cleverly adds a handle for a really cute Easter basket! Visit Julia’s site to see the full tutorial! 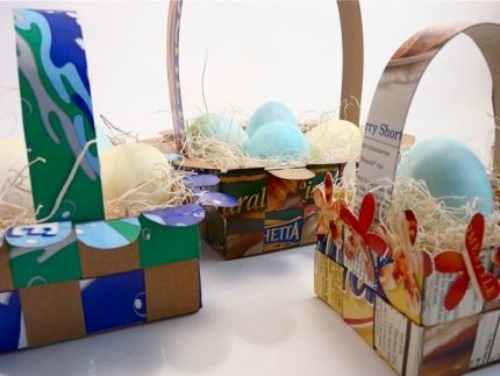 I love the Easter baskets that Diane from CraftStylish created from recycled boxes. Each basket is so unique and colorful! Don’t you love the little flowers she added to the basket on the right? Diane used a pizza box, a box from a 12-pack of sodas, and a baking mix box for her baskets. 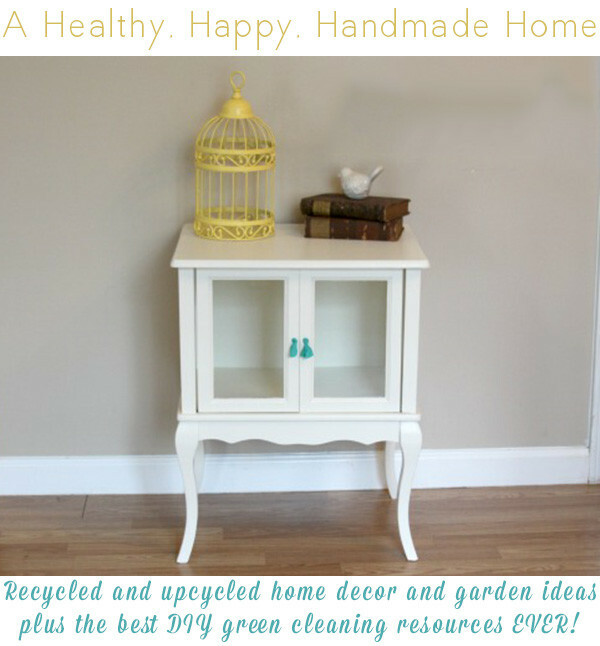 Instead of throwing those small boxes away, upcycle them into something awesome! 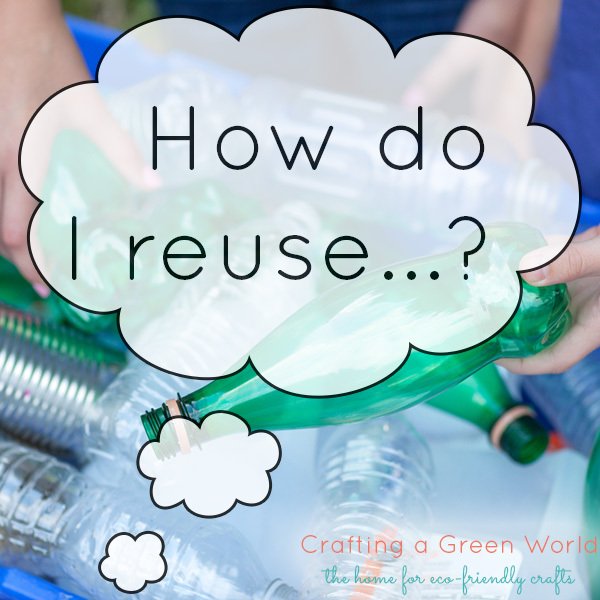 Here at Crafting a Green World, we love to recycle our sweaters. When I saw this fabulous idea from Kris at Resweater, I knew I had to share it! 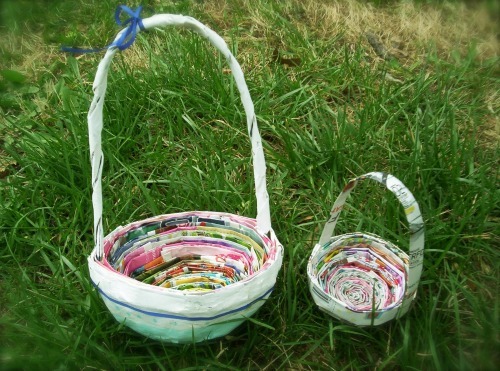 If you have an old sweater, or if you accidentally shrunk one in the wash, transform it into an awesome Easter basket! 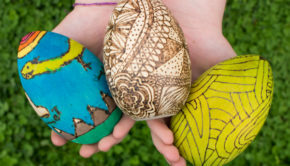 Which Easter basket will you choose to make for your little ones? 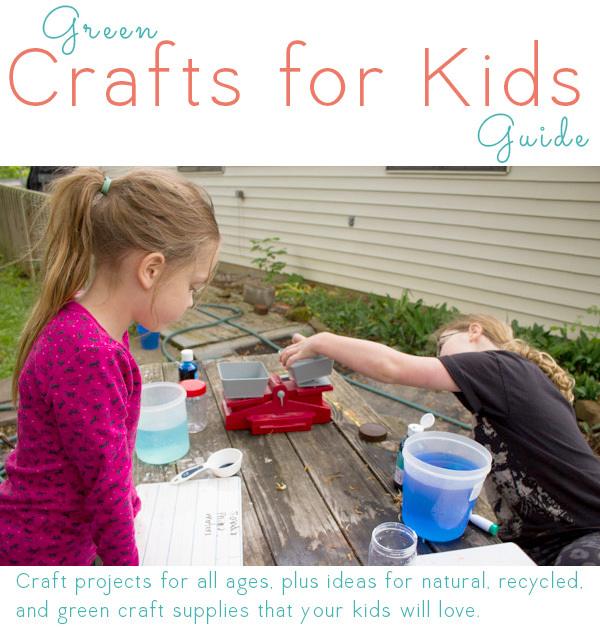 Not only are you being eco-friendly by making your own, but you’re also getting your children involved in the process! 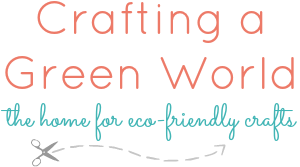 If you have your own eco-friendly Easter basket and would like to share it with us, link up to our Green Crafts Showcase!